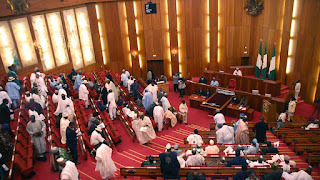 Some Nigerian senators have donated no fewer than 1,200 bags of rice to civil servants in Kogi state to alleviate their sufferings. The senator, who also disclosed that the donations included some bags of fertiliser, said: “Gentlemen, you are aware of acute hardship in Kogi state workforce now due to over 22 months of non payment of salaries. “At our level, we will continue to do our best to assist where necessary particularly that the situation has led to suicides across the state now”, he added. Melaye said it was necessary that he informed his colleagues about the hardships orchestrated by the present administration of governor Yahaya Bello; stressing that the spate of suicide witnessed in the state was a result of hardship experienced by the workers. The breakdown according to Melaye, shows that Deputy President of the Senate, Ike Ekweremadu donated 100 bags of rice to Kogi workers while the Senate leader, Ahmed Lawan donated 30 bags of rice. Others include, Senators Philip Aduda (30 bags of rice), Tayo Alasoadura (20 bags of rice), Obinna Ogba (20 bags of rice), Ibn Na’Allah (20 bags of rice), Ibrahim Gobir (50 bags of rice) Atai Aidoko Ali (70 bags of rice) and Peter Nwaoboshi. Also donated bags of rice include, Senators Umaru Kurfi (20 bags), Adamu Aliero (50 bags), Danjuma Goje (50 bags), Bayero Nafada (30 bags), Sam Anyanwu (20 bags), Buruji Kashamu (50 bags), Laa Danjuma (15 bags), Rose Oko (20 bags) and Fatima Raji Rasaki (10 bags). 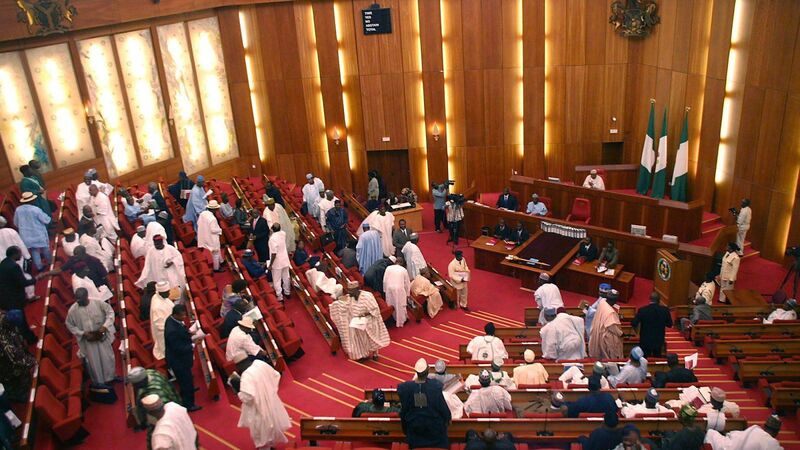 Others are, Senators Suleiman Adokwe (10 bags), Ben Bruce (10 bags) Jerry Oseni (20 bags), Isa Shuaibu (40 bags), Ahmed Ogembe (30 bags), Albert Bassey (20 bags), Mustapha Bukar (20 bags), Yusuf A. Yusuf (15 bags) and Buka Kaka Bashir (20 bags). Those who donated also include, Senators Abdullahi Ginmel (20 bags), Malam Ali Wakili (20 bags), Ovie Omo-agege (5 bags), Barau Jibril (10 bags), Adeola Solomon (20 bags), Rafiu Ibrahim (30 bags), Stella Oduah (30 bags), Sonni Ogbuoji (10 bags), Shaaba Lafiaji (20 bags), Francis Alimekhena (20 bags), Matthew Urhoghide (20 bags) and Biodun Olujimi (20 bags). The lawmaker said his colleagues also donated bags of fertiliser to those who are farmers. In this category, Melaye mentioned only Senator Philip Aduda who donated 10 bags of fertiliser, though he said other lawmakers would donate more materials within the week. Senator Melaye, while calling on good spirited Nigerians to also donate relief materials to Kogi State workers, said, only such donations would help ameliorate the sufferings of the workers in “this satanic manifestation of Yahaya Bello’s administration. He therefore, called on the leadership of Nigerian Labour Congress in Kogi state to coordinate the relief materials that would be tripping in to Kogi state. It would be recalled that, the state NLC had recently written to President Muhammadu Buhari, calling on individuals and organisations to come to the aide of Kogi workers, saying, the Civil Servants had practically become IDPs in Kogi.